Professor Keith is a Professor within the School of Biological Sciences at the University of Southampton. 2013-2018: Head of Biological Sciences. University of Southampton, UK. 2013-present: Professor in Cell Biology. University of Southampton, UK. 2008-present: Conjoint Professorship. Chinese Academy of Sciences. Institute of Zoology. 2013-present: Adjunct Professor of Physiology. University of Newcastle. Australia. 2008-2012: Professor in Human Physiology. 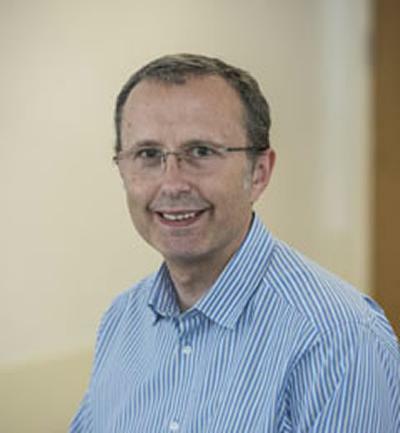 School of Biomedical Sciences and Pharmacy, & Co-Director of the Priority Research Centre in Reproductive Biology, University of Newcastle, Australia. 2005-2008: Personal Chair in Reproductive Physiology. Institute for Cell and Molecular Biosciences, University of Newcastle upon Tyne, UK. 2005: Reader in Reproductive Physiology. Institute for Cell and Molecular Biosciences, University of Newcastle upon Tyne, UK. 2002-2005: Senior Lecturer. Institute for Cell and Molecular Biosciences, University of Newcastle upon Tyne, UK. 1997-1998: Senior Research Fellow. Department of Anatomy & Developmental Biology, University College London, UK. 1994-1997: Non-Clinical Scientist Grade 1. MRC Experimental Embryology & Teratology Unit, George's Hospital Medical School, London, UK. 1994: PhD. University of Liverpool, UK. 1989: BSc Biochemistry (First Class Honours). University of Leeds, UK. Oocytes are large single cells that have been used in many aspects of cell biology to uncover how cells work. My laboratory is concerned with how the process of meiosis happens in order to produce a healthy mature egg that is capable of being fertilized by the sperm at fertilization. In many species including our own meiosis lasts decades because it is punctuated by a protracted arrest in prophase. Hormonal signals cause meiotic resumption and completion of the first meiotic division, and the oocyte is then ovulated arrested at metaphase of the second meiotic division. A calcium signal at fertilization drives completion of the second meiotic division. We are concerned with the events going on inside the oocyte that are responsible for these stops and starts of the cell cycle. Prophase I arrest. This cell cycle arrest of the oocyte is equivalent to the G2/M transition of somatic cells. What are the events inside the oocyte triggering this process? Meiotic maturation and segregation of chromosomes. Mis-segregation of chromosomes in meiosis I is common and leads to aneuploidy. Why is aneuploidy so common in oocytes and why does it increase with a women's age? Intracellular signals at fertilization. Here we are concerned with uncovering the signal transduction processes responsible for waking up the egg from its cell cycle arrest at metaphase of the second meiotic division. DNA damage. We want to find out how oocytes respond to DNA damage: their capacity to repair damage, the pathways they utilise to repair damage, and the consequences on the embryo if DNA is not properly repaired. Meiotic maturation and segregation of chromosomes. Mis-segregation of chromosomes in meiosis I is common and leads to aneuploidy. Why is aneuploidy so common in oocytes and why does it increase with a women’s age? Tianyu Wu: Mechanisms of DNA damage and repair in mature oocytes. University of Southampton. Maria Fankhaenel: Cell division of stem cells. University of Southampton. This project investigates the relationship between the level of DNA damage sustained by an oocyte, and the associated impact on its development. This project is to establish a molecular understanding of how chromosomes can be preferentially retained in the egg during the process of meiosis. Yun, Y., Holt, JE., Lane, SIR., McLaughlin, EA., Merriman, JA., & Jones, KT. (2014). Reduced ability to recover from spindle disruption and loss of kinetochore spindle assembly checkpoint proteins in oocytes from aged mice. Cell Cycle, 13(12), 1-10. BingZhi Honorary Professorship, Chinese Academies of Sciences; Institute of Zoology. Conjoint Professorship in Reproductive Physiology; University of Newcastle Australia.